If you power through a one-hour workout session at the gym, it doesn’t end there – there’s actually a lot going on in your body for the next 24 hours. The body actually works to build muscle and recover over that period, which is why sensibly-timed snacks and meals that work with the body to burn fat and feed muscles will help you achieve your goals quicker. 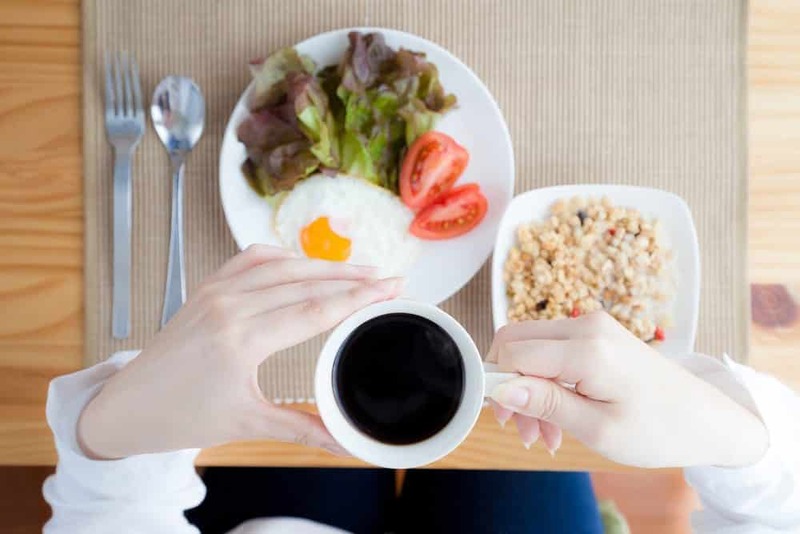 Because we’re looking at the whole 24-hour period, then everything you eat is relevant, but, for the sake of focusing on pre-workout nutrition, we’re looking at breakfast, and a snack 30 to 60 minutes before your workout. If you’re not an athlete, bodybuilder or training for a fitness competition, then the reality is, a healthy, balanced diet of nutrient-dense foods is actually perfectly sufficient for your everyday workout routine – provided you practice standard, regular exercise. Eating a healthy meal one to two hours before exercising and another one to two hour afterwards will generally provide you with the nutrition you need. Of course, there is more to it than that – for example, if you eat breakfast at 6am and want to work out at noon before lunch, then you will probably need a decent snack around 10am or 11am. And if you are an athlete or bodybuilder, then there are certain dietary requirements and nutrition plans you can follow, which can be discussed with a nutritionist or dietitian. So, for the average person like you and me who exercises for general health, fitness, strength and mental wellbeing, the nutrition focus should be on quality and quantity. For you, the focus should be on getting the right balance of the six essential nutrients, identifying any nutrient deficiencies and eliminating them, eating the right portion sizes for your body type and energy expenditure, and, most importantly, developing a healthy relationship with food and exercise, that doesn’t involve food restrictions, guilt or bingeing. If you like to get up in the morning and eat breakfast before exercising, make sure you can give yourself at least an hour to digest. Make sure you don’t fall for that old trick of eating breakfast ‘for the sake of it’, and choosing something high in sugar or refined carbohydrates, because that will increase your risk of a sugar crash or even fainting. Make sure you eat something with healthy fats, complex carbohydrates and plenty of vitamins and minerals. It’s a great idea to always try to include vegetables into your breakfast, because you want to eat plenty of veg throughout the day, so starting early will help you meet that target. Built-Your-Own: An excellent go-to option if you have a good appetite and crave something savory in the mornings is a poached egg and avocado. It is slightly time-consuming, as far as waiting for the water to boil, but if you have a small pot, it’s only about five minutes, and 10 minutes all up! Simply boil a small pot of water with a dash of white vinegar. Poach your egg how you like it, spread some avocado onto a thin piece of sourdough or rye toast, place the poached egg on top and season with salt and pepper! From there, you can add whatever is in season, or whatever you have in your fridge – raw baby spinach leaves, steamed curly kale or sliced tomatoes are all great options! For some extra fiber, you can sprinkle some mixed seeds on top, if you have them handy in your cupboard – for example, linseed, sunflower seeds, pumpkin seeds or sesame seeds. TIP: Once you’ve cut into your avocado, squeeze some lemon juice on it, wrap it in glad wrap and store it in the fridge to have again the next morning! About a quarter of a medium-sized avocado is a good portion to have on your toast, so you should be able to use the avocado over four days. Blueberry Protein Pancakes – If you wake up with a sweet tooth, then these healthier, energy and protein-packed pancakes are a nutritious alternative to refined carb, sugary traditional pancakes. The recipe calls for oats, egg whites, cottage cheese, matcha powder, blueberries and maple syrup or peanut butter. Chocolate Hazelnut Protein Muffins – Are you a fan of Nutella? If the answer is ‘yes!’, then this healthy version of the irresistible pairing of chocolate and hazelnut is for you. 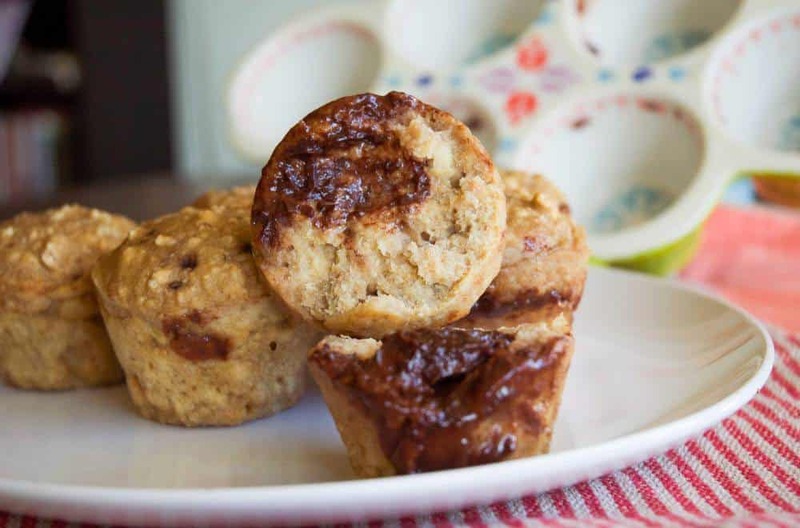 This healthy-enough-for-breakfast muffin can double as a snack if you are peckish half-an-hour before your workout and includes whole wheat flour, ground flaxseeds, baking powder, eggs, bananas, plain Greek yogurt, almond milk, vanilla and homemade chocolate hazelnut spread. Omelet With Za’atar Sweet Potato Noodles & Tahini – This beautiful-looking and tasty omelet is packed full of nutrient-rich ingredients, including sweet potato (peeled and spiralized), olive oil, za-atar, protein, eggs, tahini, basil and salt and pepper. You’ll want a good appetite for this one or someone to share it with you! 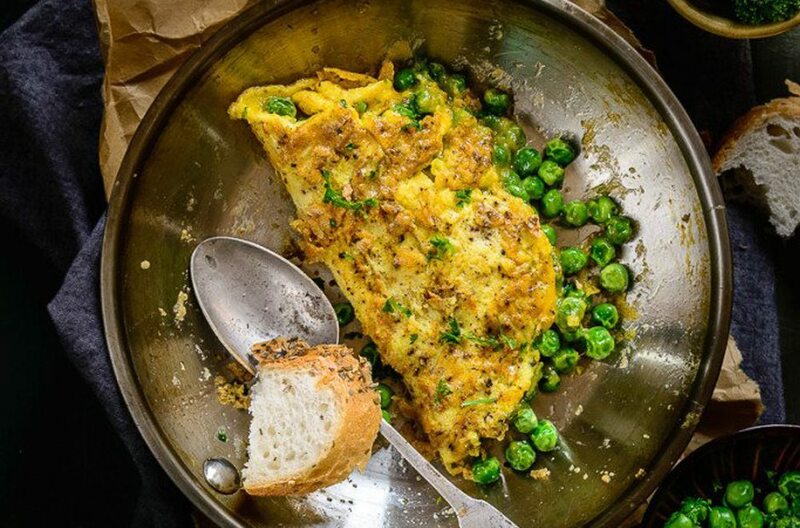 Peas & Parsley Omelet – Here we have another wholesome omelet option with some delicious, nutritious greens. Omelets are tasty and look impressive, but they are actually very quick and easy to prepare. This recipe includes butter, peas, cheese, parsley, olive oil, eggs and salt and pepper to taste. Healthy Banana Muffins With Yogurt, Cinnamon & Chia Seeds – These low-carb muffins are refined sugar-free and come with a good dose of fiber, protein, healthy fats, vitamins and minerals. Ingredients include ground almonds, baking powder, baking soda, cinnamon, stevia powder, Greek yogurt, maple syrup, bananas, vanilla, eggs and chia seeds. Again, these can double as a snack! 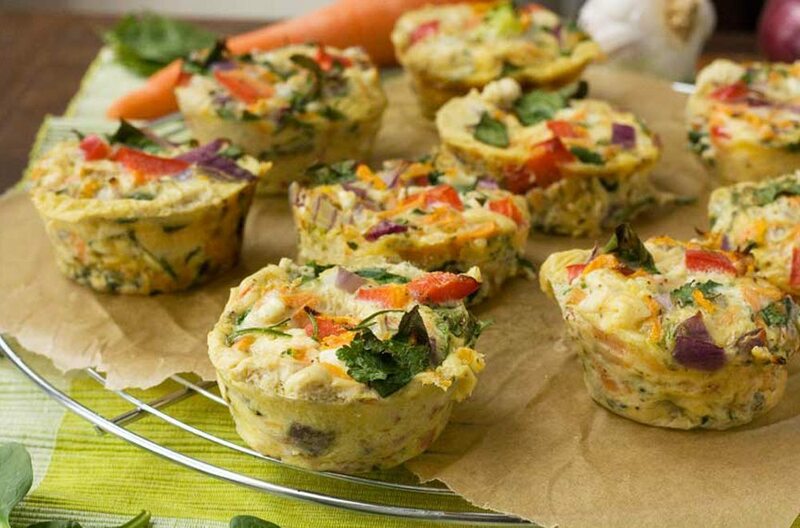 Veggie Muffin Frittatas – This is a delicious filling, savory breakfast that can be made in advance to grab-and-go. It is absolutely bursting with healthy vegetables, as well as protein-packed eggs. The recipe calls for eggs, milk, carrot, spinach, red pepper, garlic, onion, dried herbs, fresh herbs, cheddar and feta cheese, and pepper. Pumpkin Pie Overnight Oats – This Halloween dessert-inspired overnight oats recipe is another excellent grab-and-go breakfast if you need a quick morning meal or are tight for time. The recipe calls for rolled oats, chia seeds, ground flaxseed, milk, pumpkin puree, blackstrap molasses, cinnamon, ginger, nutmeg, cloves and a pinch of salt. Suggestions for garnishing include Greek yogurt, pecans and cinnamon. 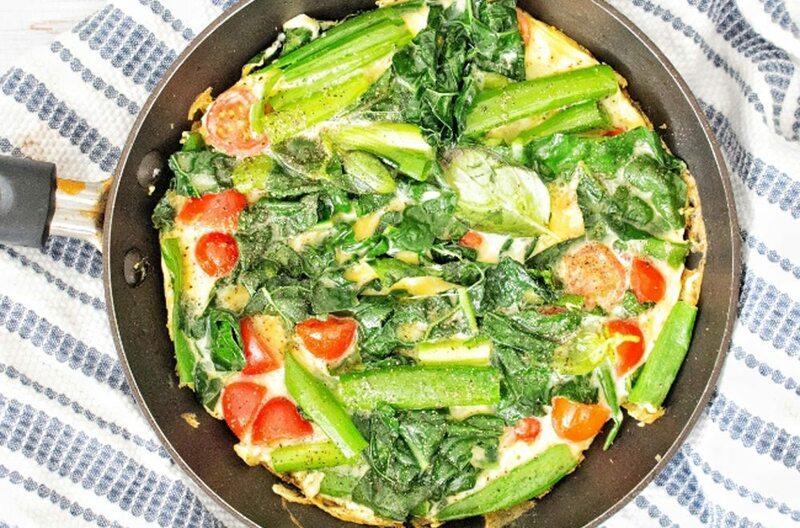 Lemony Pepper Kale Omelet – This breakfast doesn’t just look beautiful and colorful, it is tasty and extremely nutritious. Oh, and filling! Full of protein, vitamins and minerals, it is actually very low-fat. Ingredients include coconut oil, garlic, kale, cherry tomatoes, onion, egg whites, fresh basil, pepper and lemon. 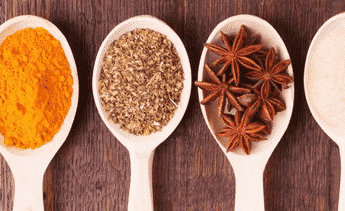 Build-Your-Own: If you’d rather look at what’s in season than follow recipes with strange and difficult-to-find fruits and veggies, then a great way to do that is to have some general ingredients, and add to that whatever berries or fruits are in season. A great filling, creamy option with all the nutrients you’ll need to fuel your day includes frozen banana, natural yogurt, avocado, oats, chia seeds, matcha powder, almond butter (just half-a-teaspoon) coconut water and maple syrup. Then you can add to that whatever is in season or whatever you have in your fridge or fruit bowl – blueberries, raspberries, strawberries, baby spinach or chopped pear (to name just a few options). Alternatively, if it’s a bad season for fresh fruit, you can stock frozen berries in your freezer, or go for a chocolate flavor instead, adding cacao powder to the smoothie. 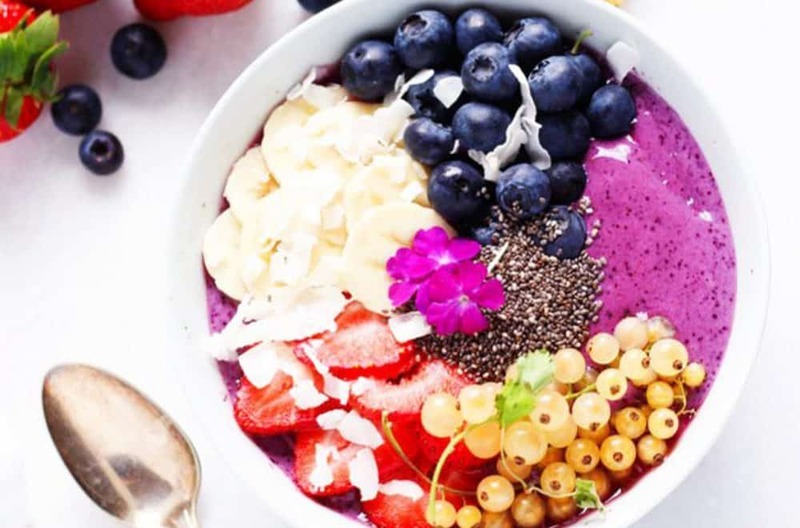 Blueberry Yogurt Smoothie Bowl – Who doesn’t love the look of a well-decorated, colorful smoothie bowl? It puts a smile on your face before you even taste it! This recipe calls for frozen blueberries, banana, almond milk, Greek yogurt and chia seeds, as well as toppings of your choice. We suggest adding some crushed nuts or mixed seeds for that extra bit of energy. 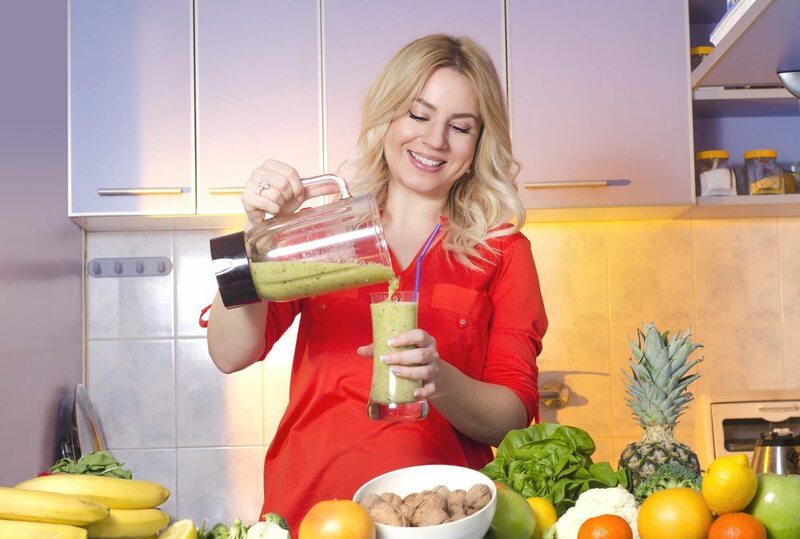 Kale Apple Smoothie – According to the blogger, this is a kale smoothie that even the kids will like, and we have to agree! Made with apples, lemon, kale, bananas, peanut butter, ice and hemp seeds, it is nice and sweet, a little bit creamy, and all the goodness is hidden behind a tasty flavor! For you, the hemp seeds, peanut butter and banana will give you long lasting energy, and the fruit and veggies will give you a good dose of vitamins, minerals and antioxidants. Creamy Blueberry Smoothie – There’s a reason blueberries are such popular smoothie ingredients – they are extremely nutrient-dense while being low calorie, and are actually one of the healthiest fruits around. This vegan option includes almond milk, frozen banana, avocado, chia seeds, and, of course, blueberries. 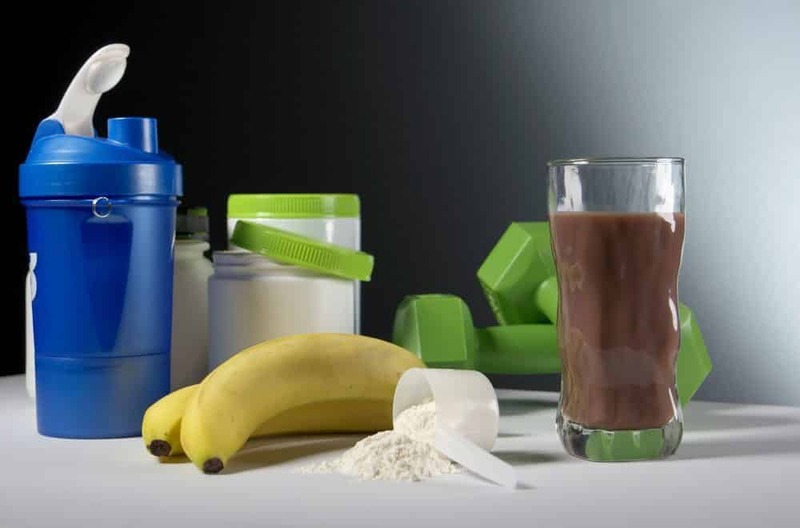 Mocha Muscle Protein Smoothie – This protein-packed smoothie will help your muscles develop and recover during and after your workout, but don’t worry – if you’re not following a rigorous bodybuilding program, your muscles aren’t suddenly going to look like Popeye’s. Protein helps you develop those beautiful lean, toned muscles with regular weight and cardio exercise and an overall healthy lifestyle and diet. 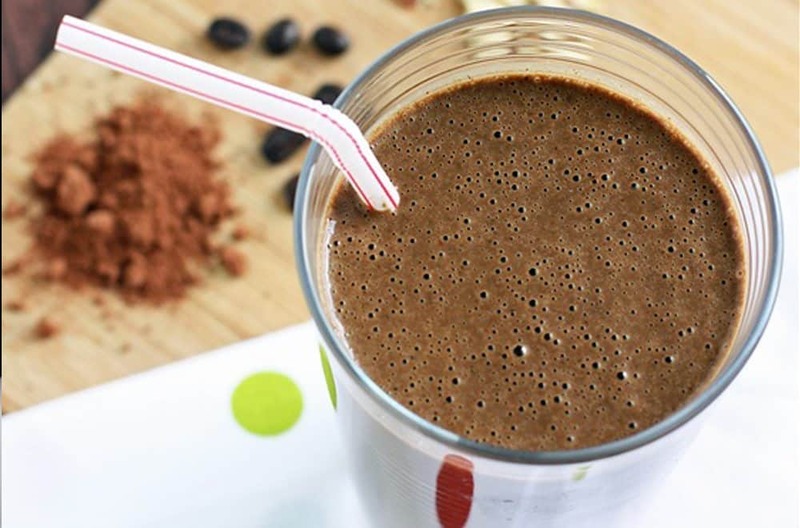 This delicious chocolate and coffee smoothie includes ice cubes, milk, brewed coffee, peanut butter or almond butter, banana, chocolate flavored protein powder and unsweetened cocoa powder (if you have cacao, use that). Blueberry Protein Smoothie – Again with the blueberries, but we just love them! This tasty, refreshing breakfast smoothie recipe calls for frozen blueberries, pineapple chunks, vanilla protein powder, acai berry powder, almond milk and frozen berries to garnish. Blueberry Pre-Workout Smoothie – This simple, pretty pink pre-workout smoothie has everything you need – healthy fat, fiber, vitamins and minerals. It calls for blueberries, yogurt, raw honey, chia seeds, crushed ice and spirulina. 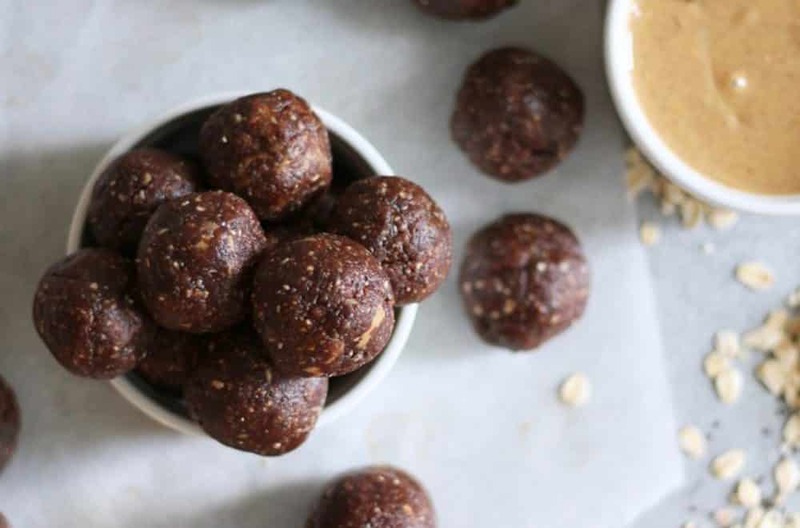 Chocolate Peanut Butter Energy Bites – You can’t beat good old homemade healthy snacks before a workout. This recipe is easy to whip up (no baking required! ), and calls for dates, oats, peanut butter, cocoa powder, chia seeds, maple syrup, water and vanilla. Maple Pecan Protein Bars – If energy is what you’re lacking, these bars will definitely get you sorted! The recipe is full of energizing, nutritious ingredients, including vanilla protein powder, pecans, ground almonds, coconut sugar, lucuma powder, unsweetened almond milk, maple extract, maple syrup and dark chocolate (make sure you get high quality). Purple Eggs With Avocado Hollandaise – These look ultra-fancy and could easily be served and admired as hors d’oeuvres, but they are actually super easy to make! 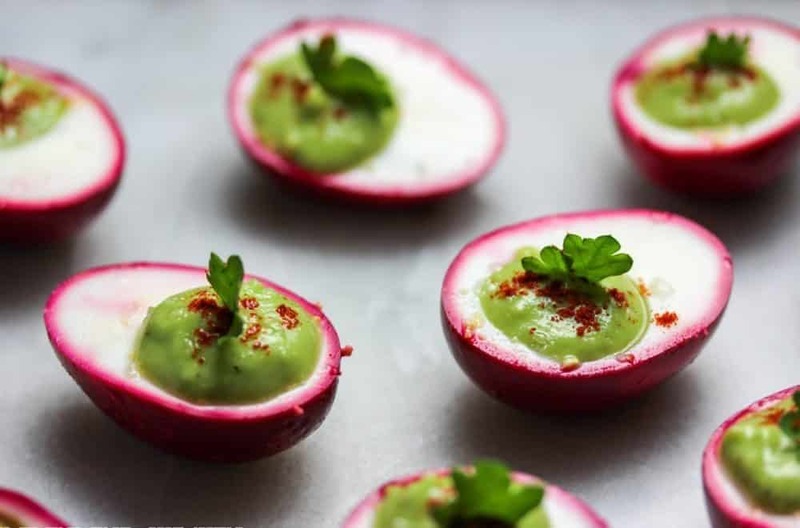 The recipe calls for organic eggs, beetroot juice, water, salt, smoked paprika and basil leaves for the purple egg part of the snack, and avocados, lemon juice, water, extra virgin olive oil and salt and pepper for the hollandaise part. Avocado Protein Chocolate Cookies – Full of nutritious and energizing goodness, these tasty cookies are low-carb, free from refined sugar and packed to the max with healthy fats, vitamins, minerals, protein and fiber. The recipe calls for quinoa flour, cacao powder, baking powder, avocado, vanilla extract, honey, protein powder, milk, egg white, stevia goji berries and vegan chocolate chips. 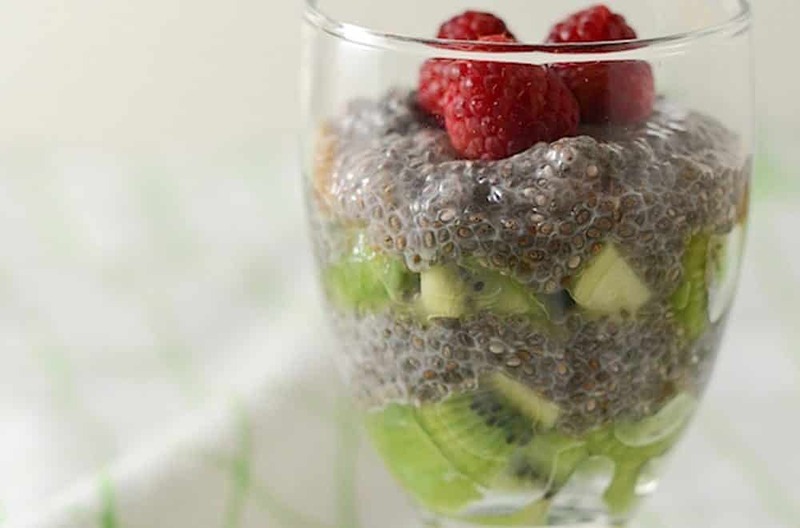 Vanilla Chia Seed Pudding – This is actually one of the easiest snacks you could make for a pre-workout hit of nutrition, and it is incredibly healthy and full of fiber. The only thing is, you need to make it well in advance to give it time to soak and set in the fridge. The recipe calls for just four ingredients – unsweetened rice milk, chia seeds, honey and vanilla extract. Cranberry Almond Protein Bars – You can’t beat a good old-fashioned trail mix-inspired energy bar that is packed full of wholesome natural ingredients and loaded with protein! This recipe calls for almonds, puffed rice cereal, dried cranberries, coconut flakes, hemp seeds, brown rice syrup, honey and vanilla extract. Oatmeal Energy Cookies – Not only do these nut-free chocolate chip cookies taste delicious, but they are actually a powerhouse of nutrition. The recipe calls for ground flaxseed, butter, bananas, sugar, egg, vanilla extract, shredded carrots, oats, whole wheat flour, plain flour, cinnamon, baking soda, salt, semi-sweet chocolate chips and roasted sunflower seeds. 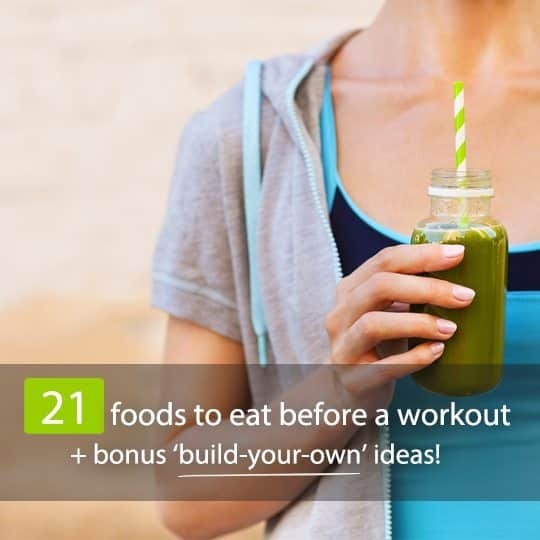 For post-workout nutrition, check out these 21 Best Foods To Eat After A Workout.